Listen to David Holmgren talk about the permaculture flower (mp3 – 1.20MB). The basic level of professionalism is the 72 hr. Permaculture Design Certificate (PDC), followed by additional experience in design. 1. From Bill Mollison: Permaculture is a design system for creating sustainable human environments. 2. From Drylands Permaculture, August 1987, Cathe’ Fish and Bill Steen. Reprinted by Permaculture Drylands Institute, published in The Permaculure Activist (Autumn 1989): Permaculture: the use of ecology as the basis for designing integrated systems of food production, housing, appropriate technology, and community development. Permaculture is built upon an ethic of caring for the earth and interacting with the environment in mutually beneficial ways. 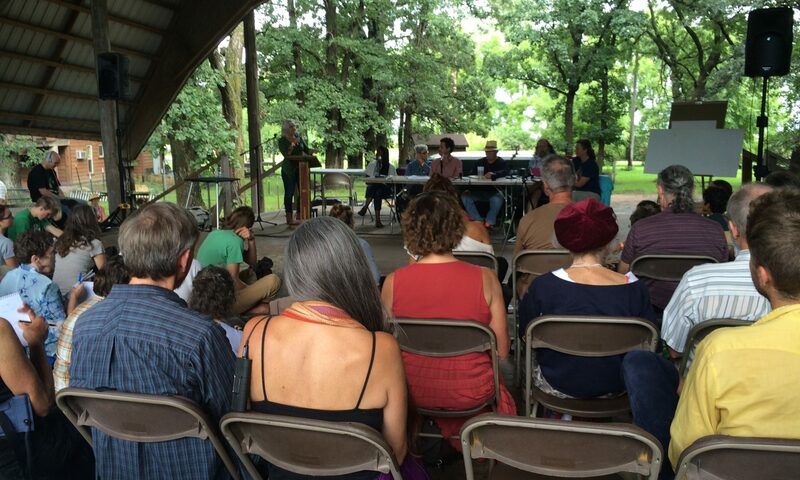 Permaculture principles focus on thoughtful designs for small-scale intensive systems which are labor efficient and which use biological resources instead of fossil fuels. Designs stress ecological connections and closed energy and material loops. 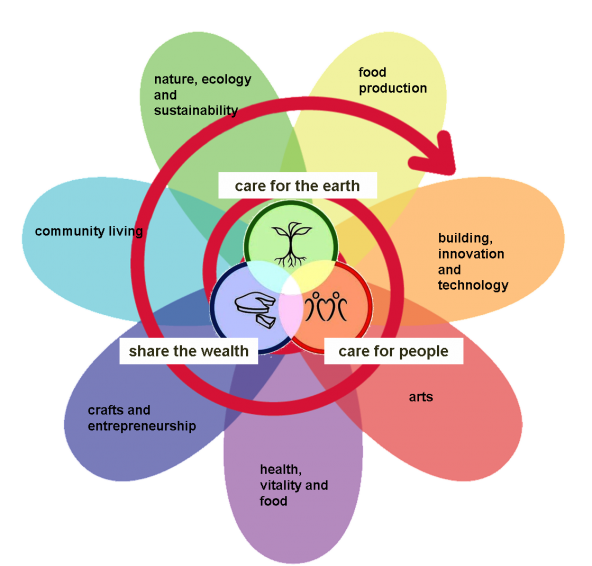 The core of permaculture is design and the working relationships and connections between all things. Each component in a system performs multiple functions, and each function is supported by many elements. Key to efficient design is observation and replication of natural ecosystems, where designers maximize diversity with polycultures, stress efficient energy planning for houses and settlement, using and accelerating natural plant succession, and increasing the highly productive “edge-zones” within the system. For a general review, see: https://en.wikipedia.org/wiki/Permaculture. Another list of Permaculture Principles from David Holmgren.